The eyerolls and the sarcastic put-downs are back, but perhaps not to the full force we were expecting. 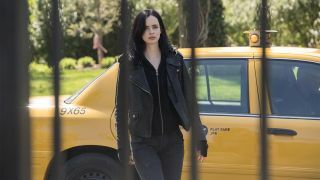 Jessica Jones season 2 – which releases on Netflix worldwide on March 8 – sees Krysten Ritter return as everybody’s favourite damaged Defender, and, yet, judging by the critical reaction to the first five episodes, something’s missing. Our own spoiler-free preview says that it "reminds us why we fell in love with the hero in the first place," but not everyone is convinced. Do things need to change for The Defenders going forward? Here’s why Marvel needs to find a way to bring the street-level group closer to The Avengers.